While it’s too soon to call it a trend, there’s been a small but notable uptick in de novo bank filings recently, ending the draught that followed the financial crisis. What does this mean for your financial institution? What are they seeing in the market to open a new institution? Are there things you could be doing differently to run your institution more like theirs? 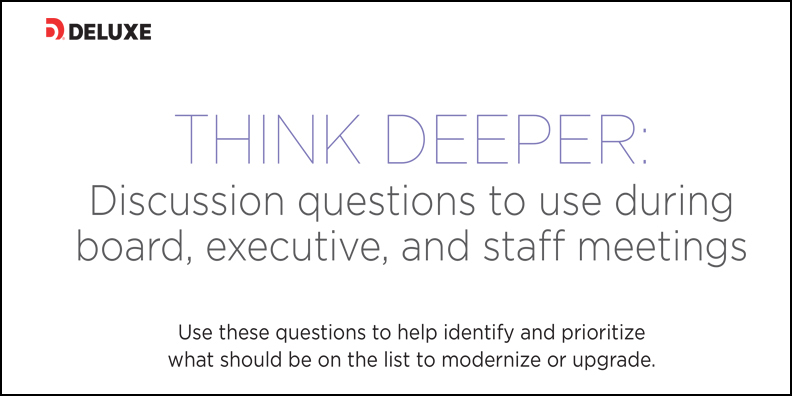 We built a discussion guide to help your management team and your board of directors to identify the initiatives to prioritize and the systems to modernize or upgrade to ensure you remain competitive.